Real Food Fast! 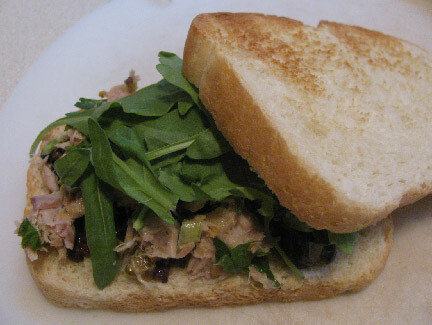 : Delicious tuna sandwiches with no mayo! Delicious tuna sandwiches with no mayo! I can't eat mayonnaise at all, so I'm always on the lookout for sandwiches and salads that use my favorite ingredients, like tuna, without necessitating a trip to the hospital afterwards! Hannaford came up with a Lemon-Pistachio Tuna Sandwich that is moist and delicious without a drop of the dreaded stuff.